I know many will be wondering why I chose Half Blood Prince and not one of the earlier books in the series... we'll get to that. Be patient. Harry Potter, everyone has heard of this wizard, whether you have read the books, watched the movies or even ignored them all, you've heard of him. I first heard of Harry around the time when Order of the Phoenix was being released. I remember hearing about the huge queues outside of book stores so that people could get their hands on copies as soon as possible. And I remember thinking what a complete over reaction. I knew grown adults who were excited to get their copy and I remember feeling incredulous that adults where falling over themselves to read a childrens book. A childrens book. I avoided the books and by association the movies too just because of this fact. Fast forward a few years... Deathly Hallows had just been released and I had more and more people telling me I should read the books. I had just rediscovered my love of reading and had delved into genres I wouldn't have before and I decided to give them a go. 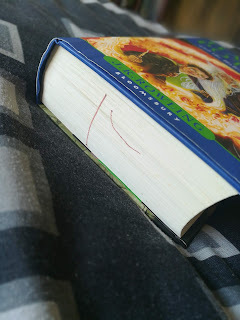 It didn't stop me scoffing my way through Philosophers stone and tutting at it for being a kids book. 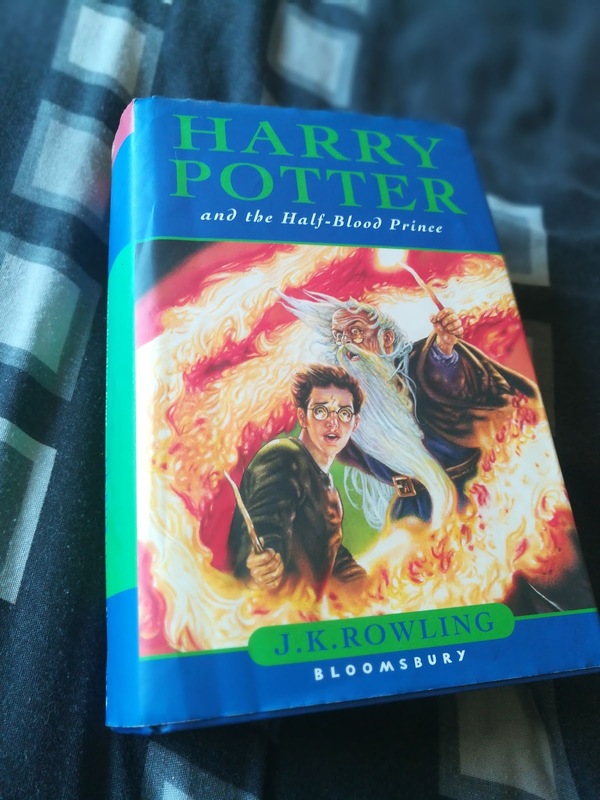 But as I progressed through the books I became more and more enthralled, Rowling had certainly woven magic into these stories and they had me hooked. But it was this book that saw me break from my firm believe that these books were aimed at just children. If you have been living under a rock and haven't read this book or seen the movie then maybe stop reading now. It was this scene right here that changed my mind. Despite everything we had been told up to this point, and the fact that Harry had also survived this very same curse, I was sure Dumbledore would not be slain by this curse. When I realised that he had in fact died I was sobbing uncontrollably... and then bizarrely, laughing at myself or crying at a childrens book. 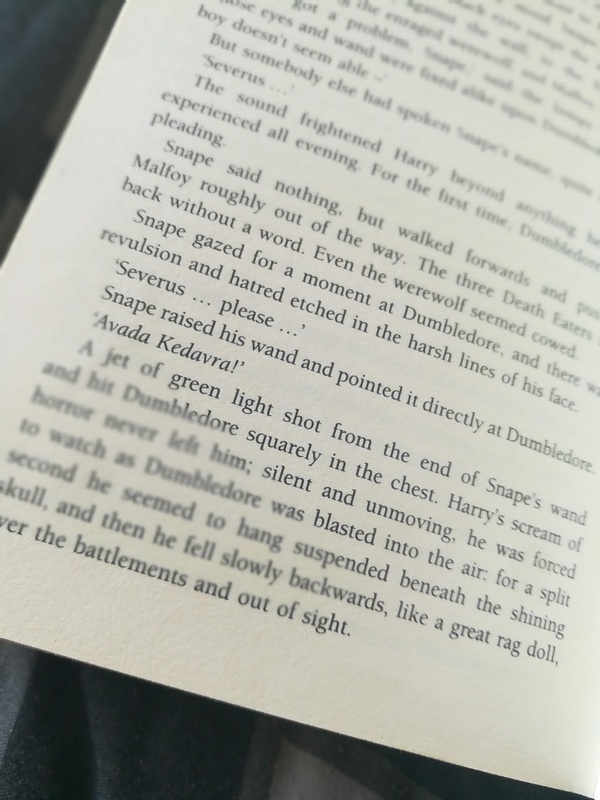 This book will always be my favourite, despite my beloved Severus' actions here, because this was the moment I realised how much I loved this series. And finally accepted that this series wasn't just for children. This is another series where I have lost count of the amount of times I have read the books, or watched the movies. But it still brings me great joy every time (except for those bits that make me cry lots... I'm looking at you Deathly Hallows). But my most favourite part of this series is the ability to share it with my children. This isn't even my copy of Half Blood Prince. My copy is the adult version, but it is a first edition library copy, which means that it has been well read and much abused, the spine is broken and a few of the pages are loose (all of which happened before I rescued it from a charity shop). This copy was loaned to me by a stranger for my daughter (then 9 or 10) to read since my copy was so fragile. But to my horror she decided it would be a good idea to read it with pens in her hands and she drew on this copy, which made me incredibly grateful that I didn't allow her to read my copy but it did mean I then I had to buy a brand new copy to replace the one the kind lady had loaned us. I would have preferred to have used a photo of my actual copy but due to its condition I have tucked it away from prying hands to protect it and have for the moment forgotten where I have placed it oopsies... perhaps the house elves have squirrelled it away somewhere.